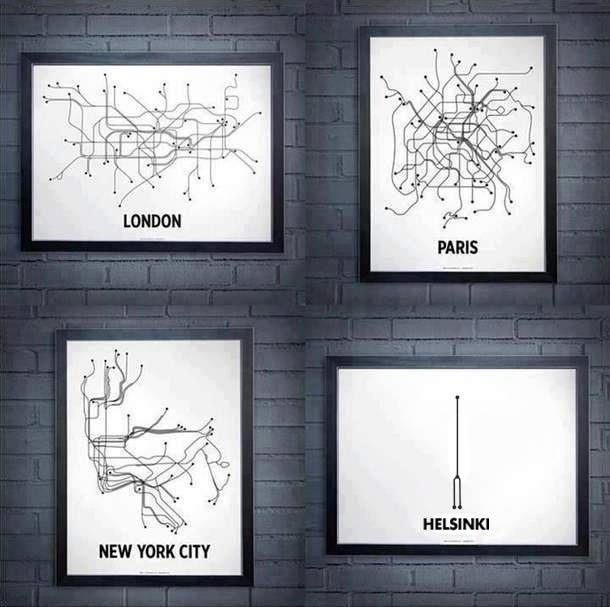 Perhaps because the population of Finland’s capital, Helsinki (621,863 as of November 2014), is dwarfed by some of the other major cities around the globe, its exceptionally uncomplicated metro system is worlds apart from the intimidating, tangled-up monstrosity known as the Tokyo Metro. I remember staring blankly at all the squiggly lines the first time I ever saw a map of Tokyo’s subway system, and then almost fainted when I realized there was a whole other network of trains above ground as well. “The Helsinki Metro, opened in 1982, was the first, and so far the only, subway-system in all of Finland. For the first 16 years of its existence, the line was topologically only one straight line, but in 1998 a fork with three stations each was added at the eastern end of the line” (Wikipedia). Yikes! All of those lines! Many net users commented that the Tokyo Metro map reminds them of an imaginary map from the fantasy world of an MMO (Massively multiplayer online) game. For the record, Seoul’s map isn’t much different, but perhaps Beijing’s is a bit less crazy? Tokyo’s JR Yamanote Line is reminiscent of Glasgow’s circular design. It takes just 24 minutes to complete one loop of the Glasgow Subway. The Moscow Metro seems pretty intense, but that’s what you get when you’re one of the busiest metro systems in terms of ridership in the world. If you’re like me, I had no idea what the heck a “people mover” was. Apparently, it’s “an automated people mover system which operates on a single track.” Go figure. Hmm, I get the feeling that all of these Canadian systems are manageable enough. The initial section of Line 2 of the Warsaw Metro just opened earlier this month. Berlin’s U-Bahn seems to be fairly evenly spread out. So OK, I now have a newfound appreciation for Finns. If only the rest of the world could keep things as simple as you!